America’s love affair with Girl Scout cookies began in 1917 and has grown strong ever since. If you’re in the mood for cookies inspired by classic Girl Scout flavors you’re in luck! There are plenty of Mindful recipes to try. In Muskogee, Oklahoma, one group of Girl Scouts (the Mistletoe Troop) decided to sell their homemade cookies to fund special projects. The idea caught on and other troops followed suit. Today, selling cookies is a Girl Scout tradition and there are many delicious flavors to enjoy, including Thin Mints, Caramel deLites (Samoas), Peanut Butter Patties (Tagalongs), Shortbread (Trefoils), Do-si-dos (Peanut Butter Sandwich), Lemonades, Savannah Smiles, Thanks-A-Lot, Toffee-tastic, Trios, and two different types of Girl Scout S’mores. Want to make homemade cookies inspired by classic Girl Scout flavors? 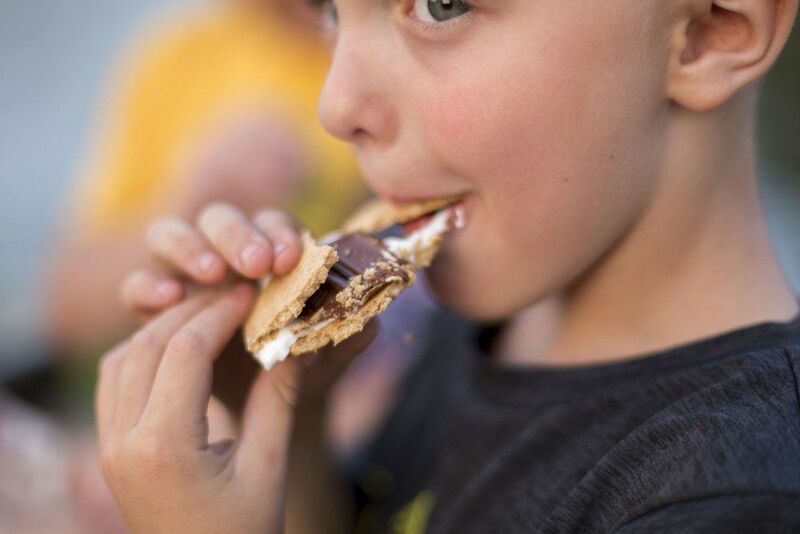 Check out this recipe for s’more sandwich cookies. It’s made with frosting sandwiched between two graham crackers and dipped in chocolate. They’re a bit different from the original recipe, but they’ll tie you over while you wait for your next Girl Scout cookie order. Check out the yummy recipe listed below. Gently break the full sheets of graham crackers in half to get 24 squares. Generously spread the vanilla marshmallow frosting on one-half of 12 of the graham crackers. Gently press the other graham cracker on top and smooth the edges with a knife so the frosting isn’t coming out the sides. In a large microwave safe bowl, add in the chocolate chips and shortening. Place in the microwave and microwave in bursts of 15 seconds, stirring in between for 10 to 15 seconds until melted. Once the chocolate is melted and smooth, use a large fork to hold the sandwich cookie over the chocolate and a spoon, to spoon the melted chocolate over the sandwich cookie. Gently tap the fork holding the sandwich cookie on the side of the bowl to remove excess chocolate. Transfer to the prepared cookie sheet and allow to sit in the fridge until chocolate is hardened again. If needed, re-melt the chocolate in the microwave for 10 to 15 seconds in between dipping if it is getting difficult to dip.